Drew Trevino focuses his practice on the defense of litigation matters, with a particular emphasis on personal injury and commercial litigation. He is involved in all phases of litigation including discovery, drafting motions, and developing litigation strategy plans. 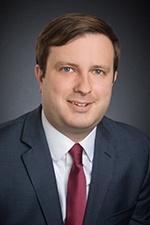 Drew joined Hinshaw in June 2017. Previously, he was a law clerk with the firm. While in law school, he served a number of internships and research assistant positions. Drew was a law clerk for Liberty Mutual Insurance Co. and was a legal intern for Marquette University's Office of General Counsel. He was also a research assistant for the National Sports Law Institute and Professor Paul Anderson. In addition to his other law school accomplishments, Drew was a member of the Dean's List and a recipient of the Zilber Scholarship. He also received a CALI Award for the highest grade in Health Care Provider Liability.